Warning, this post will be a long one and may not be as clear as I hope. I am working on a new theory related to online dating based on the culmination of my experiences over the past few months. I was an early adopter of online dating, most of my friends are serial monogamists and long-term relationshipers. As I have suggested before, online dating has always been a vehicle for me to look for a partner outside of my social circles. I have never been ashamed of using online dating to meet men and have engaged in two long-term relationships with men who I met online. When my partner has been hesitant to tell others how we met, I have questioned why meeting online should be taboo. And, I have long suggested that once people meet in real-life dating someone from online becomes the same process as if you met someone at a bookstore or on the bus. All in all, I am pro online dating, and yet I lately feel myself more and more confused by the process. Yes, I am meeting a lot of men, some of whom I am compatible with and who I greatly enjoy spending time with. These men too are meeting a lot of women, some of whom they are also compatible with and with whom they probably also enjoy spending time with. I am an adult, I realize that people date several people at the same time and it doesn’t make sense to invest all your interest and energy into one person. This approach is practical, but it also is leading to something I am going to call the Paradox of Plenty. In this most recent venture in online dating I have been surprised at how flaky people are. Since I was last online, it seems like men are much less likely to formally ask me out, to make plans in advance, to be on-time for meetings, and to keep their commitments in general. Yes, things happen and come up that might explain some of this behavior, but not all. I have been stood up a few times for initial meetings, without even an acknowledgement or an apology from the person I was scheduled to meet. I have to assume that both genders are perpetrating the same transgressions, which might further explain the acceptance of this otherwise rude behavior. I started talking to a few friends and then some dates about this experience, just to validate how common this sentiment was. 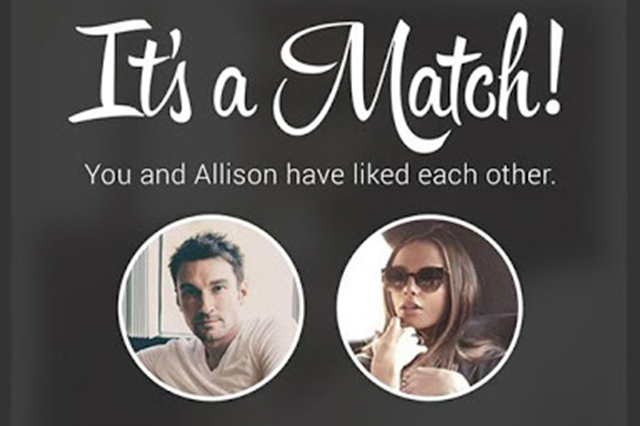 What has emerged from these conversations is my belief that the sheer number of options, or potential partners, offered by online dating websites has made people actually feel less connected to the experience of dating. Regardless of the actual number of people one may interact with online or in-person, viewing all the pictures and profiles of these strangers online may actually make people feel as though their candidate pool is overflowing. This false sense of plenty may in some ways have the paradoxical effect of making it harder for people to commit to meeting and getting to know any one person. I wonder if the net effect is an overall apathy about pursuing someone out of the belief that someone better will come along. This might explain the lack of initiative to meet in-person or to firmly schedule a meeting time. We all know that one friend who people invite to parties/dinners/gatherings and their first response is ‘Who else is going?’ or the friend who says they will attend some event only to no-show. Perhaps, what I am experiencing is the dating equivalent of this friend. Making a plan to meet me automatically limits the time that a man could be spending with another woman, or have available for a more attractive candidate if she comes along. Worse, when plans have been made to meet and a better alternative comes along, the man becomes the friend who never shows up and does not bother to cancel. Online dating can be an amazing ego boost for some, to be contacted by attractive and seemingly smart people can take one’s self-esteem to great heights. If this becomes the sole purpose of being online, however, the endeavor becomes diluted for everyone. I have written about the tendency to compare partners as ‘better‘ or ‘worse’ to each other, but it seems that comparison begins much earlier in the stages of online dating and with more shallow factors. This doesn’t intimidate me or make me any less optimistic about online dating as a medium, but rather provides me yet another standard by which I can evaluate a suitor. It seems such a silly and simple thing for someone to make clear their interest in you by formally asking you out, and doing so in advance as a way to show respect for your time. And yet, in this very connected and busy world that we live in, these simple acts may be the most meaningful. Wow, I’ve never thought about it like that. I’m not doing any online dating right now either, however, I do find it quite odd that it would create this sort of paradox. Still, odd as I may think it is, it really does make a lot of sense. (Paradox much, lol) I know someone who took the whole online dating thing to be an ego boost. He would talk to women online for his own egotistical satisfaction and let others know how little it actually meant. I find this to be in poor taste and it just makes you stop and think about relationships and how much we put into something that could potentially be emotionally unstable and dangerous for our mental health. It turns me off to online dating.